Cabinet Latches – The Good Stuff Co. 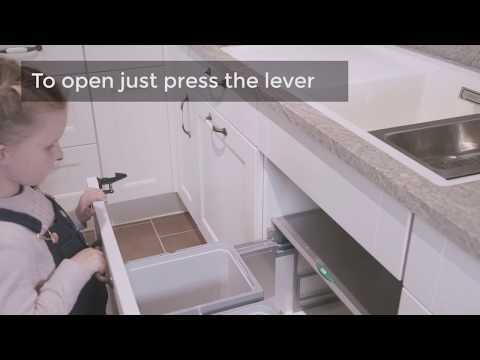 These child cabinet and drawer locks are incredibly easy to install, if you need to child proof your drawers and cupboards and don’t want to use a drill then you’ve found the best solution! Supplied with catch and latch, virtually any cabinet can be made baby safe. And as no drill is needed, your furniture is left undamaged when it’s time to remove the baby proofing. 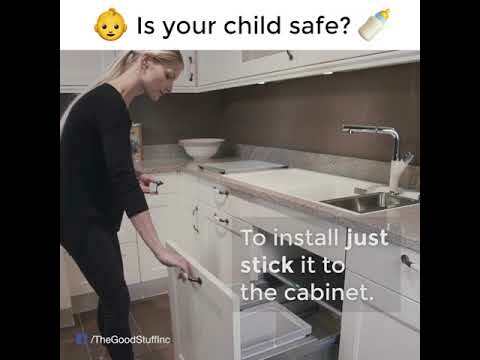 Completely invisible when your cabinets are shut, but strong and secure enough to keep your children out of harm, you can child safe your kitchen with locks that can’t be seen when the doors are shut. Unlike some competitors, we use only the strongest 3M adhesive in our child safety locks, you can be sure that these latches are keeping your kids out of harm all day long.